Instantly change your own bathroom into a farmhouse bathroom vanity. Every homeowner wishes to have a luxury farmhouse bathroom where he can enjoy the calm, comfort and beauty. So don’t hesitate to both add a great design to your bathroom and keep it in tune with the rest of your home décor. We are here to give you the inspiration for cool trendy farmhouse decorations! With DecorationY, restyle your bathroom with trendy farmhouse décor and give you the best ideas for the farmhouse’s bathroom design, vanity, sink, lighting, and bathroom décor. These are 9 different tips to easily add a rustic farmhouse touch to your bathroom. Pick your best! and explore this rustic interior design that will make your home amazing. Use the neutral colors of the farmhouse palette like gray, country white and warm wood accents. Add some of the old natural wood furniture and old wooden items such as recycled towel rack made from an old ladder to the design. The bathroom mirror is the main item in the design, you can use the vintage mirror or rustic rough wood mirror frame to get the spirit of the farmhouse design. Use some floating open shelves or live-edge wooden shelves instead of the closed cabinet for storage. Put one of the porcelain farmhouse sink on an old vintage cabinet. Use the vintage rustic signs as old wooden hangers and frames to decorate the bathroom wall. Add some of the evergreen wreaths, rustic dried herbs wreaths and natural cotton wreaths on the walls to decorate your bathroom. Use some of the beautiful farmhouse basket storage as rustic wire baskets, eco woven baskets, natural seagrass baskets, or banana Leaf baskets. Try to use a combination of the colors of the natural fabric towels, textiles and the country blue and white linens in the design of the bathroom. 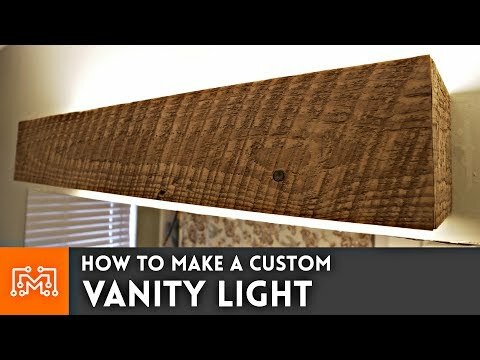 If you want to have a farmhouse vanity in your bathroom designs by using easy steps. At this point, you can install the sink-type dish on an old wooden storage unit or an old wooden table, its small dimensions, and circular shape make it easily fit above any storage unit and it will add the farmhouse touch to the bathroom design. You can choose between many kinds of farmhouse sinks like; Copper farmhouse sink, white farmhouse sink, fireclay farmhouse sink, porcelain sink, double bowl sink, small farmhouse sink, ceramic sink. However, the most important focus is choosing the one which fit the bathroom size and style. Adding some light on one side without the other will make the lighted side feels larger and ambiguous. You may prefer to focus the light above the mirror and corners only. Or you can use plenty of lighting for a whole clear and bright look. Effortlessly add the touch of farmhouse bathroom decor to your bathroom. But don’t worry, you don’t have to pay too much or search too far. It is the most simple and inexpensive decor style that you can ever have. You only have to search among the old things in your garage and you can find what you need there! ⇝Kids Game Room Inspiration – Kids Goes Nuts About!